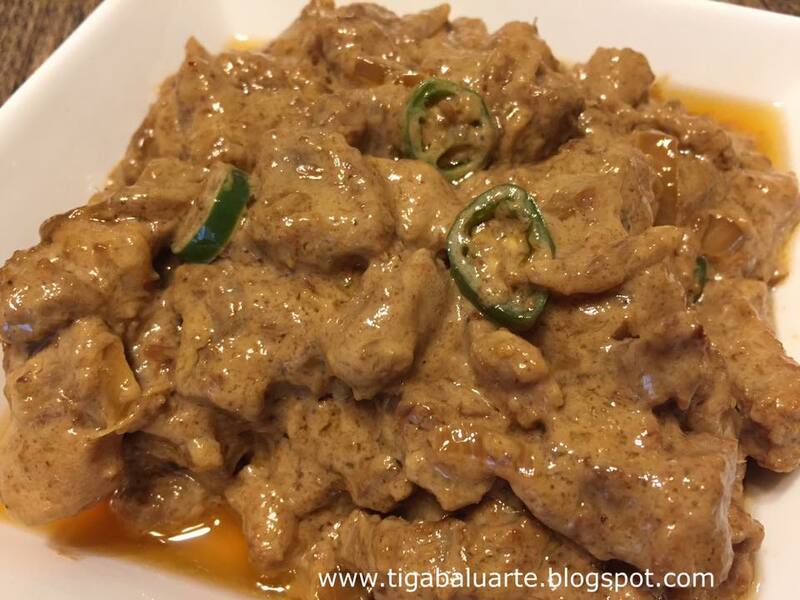 Crispy Pork Binagoongan sa Gata is one of Filipinos favorite pork recipe. This recipe is easy to make using pork shoulder, shrimp paste, coconut milk and chili peppers. 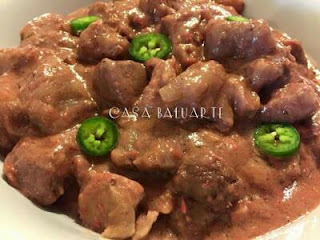 The difference of this recipe to others is the pork is boiled and fried until crispy before adding to the coconut mixture. Check it out and give it a try. 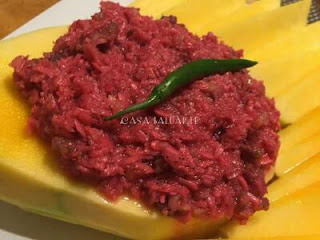 For sure this is one of those unhealthy Filipino dish so eat moderately. Boil pork in 3 cups of water and bay leaves for 30 minutes or till fully tender in medium heat. (add more water if needed) Once pork is tender, remove from the broth, drain and set aside. Save remaining broth for later. Heat cooking oil in medium heat. Fry pork in cooking oil until it turns crispy and golden brown. Remove crispy pork and set aside. Using the same cooking oil, sauté garlic, onion, chili peppers and ginger till caramelized. Add bagoong and stir fry until aromatic. Add 1/2 cup of the pork broth and simmer for 2 minutes. Season with sugar (if needed) and ground pepper to taste. Pour in coconut milk and stir well. Simmer till sauce thickens. Add crispy pork the coconut mixture. Remove from heat and quick stir. Transfer in a serving dish and serve hot with steam rice.